Canzine is a large zine fair put on every year by Broken Pencil magazine. 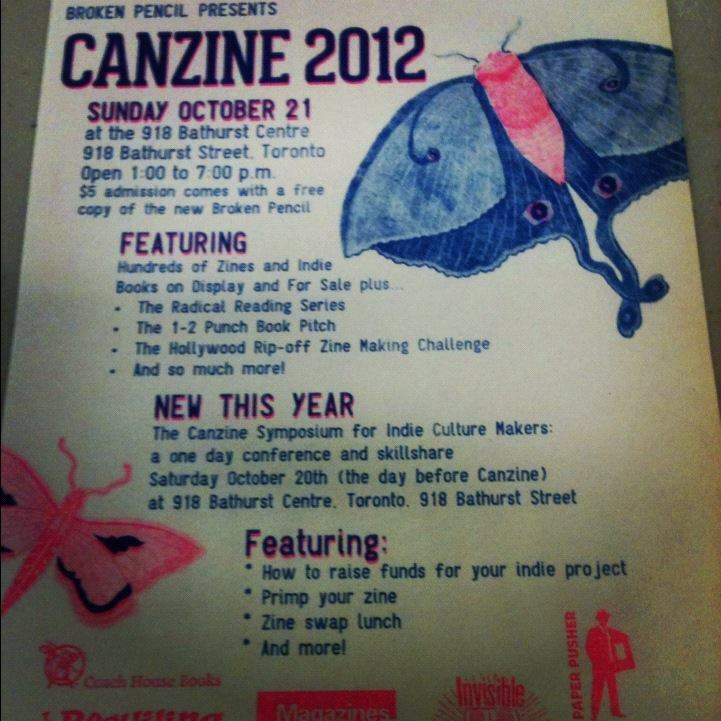 This Sunday marks the 17th Canzine in Toronto and the seventh Canzine I have co-programmed. In order for librarians to get a first-hand view of what is happening in alternative media and what their users are creating local zine fairs, independent book fairs and comic festivals are great opportunities. Tomorrow’s Canzine will feature over 170 zine makers and small presses selling their literary and artistic works. Makers come from across Ontario and up from the States to sell their wares and meet other creators. Two recent articles on zines, collecting written ephemera and Canzine were in Metro and Xtra. Other upcoming zine and small press fairs include Expozine (November 17 & 18, Montreal), Canzine West (November 17, Vancouver), Buffalo Small Press Book Fair (March, Buffalo) and the Toronto Comic Arts Festival (May, Toronto).